On Saturday 13th and Sunday 14th April, the swim mats and the pool inflatables will not be available. Due to a private event, the pool will close at 3pm on this day. Please also note that the pool closes early (3:00 pm) on Friday 26th April due to a private event. Please note: last entry to pool is 1 hour before pool closure. Swimmers must vacate the pool 15 minutes before pool closure. You can find our opening hours by downloading this PDF file. Our ticket office for the pool closes one hour before the pool closes! 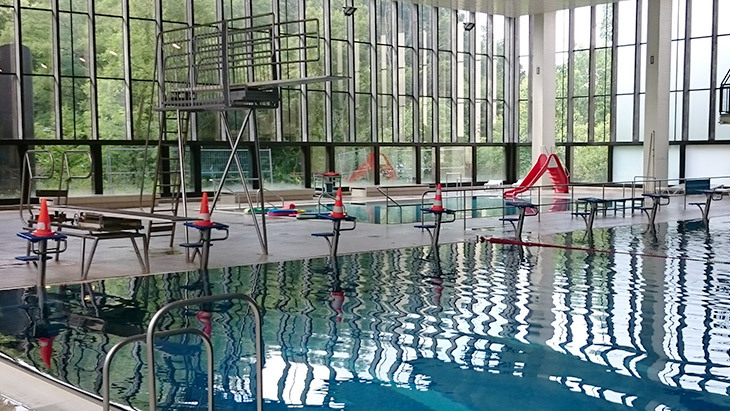 During regular opening hours, there is no limit as to how long you may stay in the pool. We ask customers to leave the pool 15 minutes before closing time!